All customers, including existing customers can take advantage of this new fleece blanket offer from York Photo! Create a custom photo fleece blanket for only $19.99 (reg. $47.99 - 58% off) when you use promo code PICNIC at checkout through 7/28! There is no limit on the quantity you can order and shipping gets really cheap (only $1.99) after the first initial shipping charge of $6.99! High resolution image required 40x60"
New customers also receive 40 free prints! Shutterfly: Free Note Pad Set or Playing Cards (up to $19.99 value)! Through June 20th, all Shutterfly customers can order a personalized set of FREE playing cards ($19.99 value) or one set of FREE note pads ($14.99 value) with promo code MYGIFT at checkout! Shipping is not included but will only run you $4.99 for the note pads and $7.99 for the playing cards. I personally find the note pad deal to be the best offer because I know I would get way more use out of the note pad. :) However, if you are a card playing family, or often play cards with friends, the playing cards would be super fun! Plus don't forget about the 99 free prints offer that I posted here! Through June 30th, order 99 prints with Shutterfly and use promo code 100FREEPRINTS to pay just $5.99 + tax shipped ($0.06 per print)! The code is actually valid for 100 FREE prints but you will end up paying $2 more for shipping so you are better offer ordering just 99 prints for the best deal! 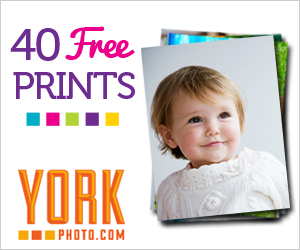 Through June 14th, take $10 off any $10 purchase at Shutterfly.com (including sale items!) when you use promo code TOPTEN at checkout! This code is valid for both new and existing customers. Shipping costs will vary and code can not be applied toward shipping charges. Offer expires 6/14/2015 (11:59 P.M. PT). Offer is good for $10 off one qualifying merchandise order of $10 or more (after any other discounts and before taxes, shipping and handling) through shutterfly.com or our mobile-friendly site. Offer cannot be redeemed more than once per account and/or billing address. This particular offer code can only be redeemed once. Taxes, shipping and handling will apply. Not valid on personalized postage stamps, prepaid plans, gift certificates, Videograms, cards sent using mailing services, prior purchases, orders placed for in-store pick up and purchases made on the Shutterfly apps. Valid for the intended recipient only. Cannot be redeemed for cash or combined with other offers or credits. Not valid for resale. My Publisher: Free 20-page Hardcover Photo Book ($29.99 value)! New customers to My Publisher can score a free 20-page 11.25" x 8.75" hardcover photo book! To receive a unique promo code for this offer, go here and enter your email address. You will then be emailed the code to get started with your book! You will have 7 days to redeem your coupon after you receive it. Shipping is not included with this offer. This promotion entitles new MyPublisher customers to one (1) FREE 20-page classic photo book OR $29.99 off a deluxe photo book. The discount will be applied as $29.99 off your purchase. Other paper, printing and cover options, slipcases, memorabilia pockets, foil stamping, embossing, slip cases, presentation boxes, photo window boxes, gift boxes, any additional pages, and logo removal may be added to the order at full retail price. This offer does not apply to any other photo books, photo albums, Picture Perfect by MyPublisher, scrapbook pages, gift certificates, products made with KeepShot for iPad, products made with Shutterfly, or any other product.